Whilst there may be some truth to this, it’s very hard to believe. There is no way that a container can ship from China to the USA without some sort of shipping itinerary. 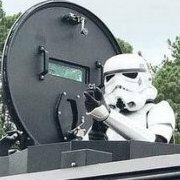 If not for customs, then for the supplier and receiver. Items sent need to be accountable for. It sounds like another tale from Anovos. What they should have done, when the last window expired 3 weeks ago, was to come clean with everybody. I can only speak for myself, but even if they said it was another few months, I’d wait. I’ve waited this long anyway. More pre-Celebration rhetoric. They’re really covering all bases. So if I read that correctly they didn't have enough staff to get orders out before and they aren't going to add more staff to get shipments out and only ship on Monday and Wednesday so...... nothing is going to change? It still doesn't explain why something in stock should take 10-14 days to process even with a small staff only shipping on Monday and Wednesday, remember this is processing, not actually shipping it out the door. When has their shipping ever been close to estimates? Not con artists like a lot of other companies? I sure hope they come through. Wonder what gaskets will really ship? I just noticed the Pre-2019 orders shows the Latex gaskets but if you look at the Post 2019 pre-orders it says cloth gaskets. The cloth ones shown on the new pictures look horrible. Sounds like the wording goes as far to state no refunds on orders made previous to today too. "We will continue to honor any existing refund requests made prior to this policy change as business permits." Thanks Dustin for sharing this pic! The shoulder seam in all its glory! The very first line says orders from now on. I'm aware, but their use of the words "existing" and "prior" 100% contradicts the first line. 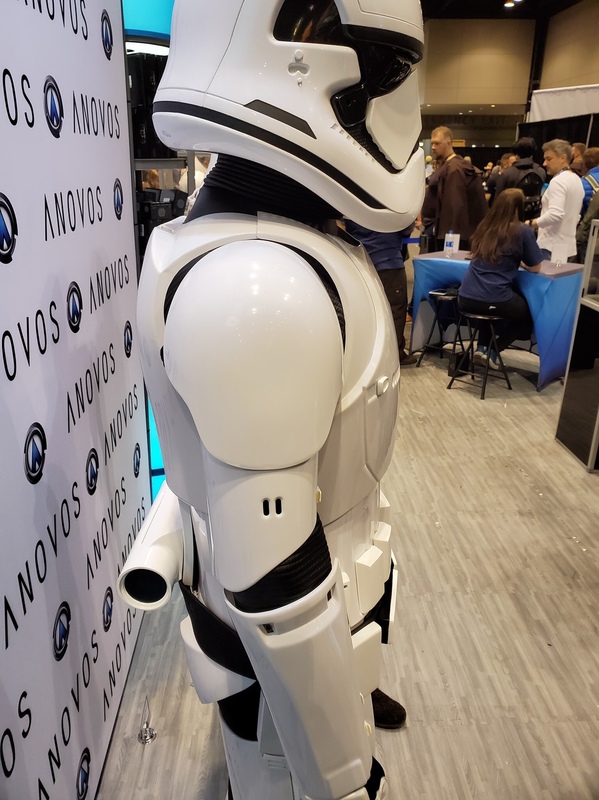 What are the odds you’ll be able to pick up an Anovos bucket at SWGE before they ship. Perhaps the big A will fulfil their masters quota first. Doubtful. They usually only take orders at cons or stores. 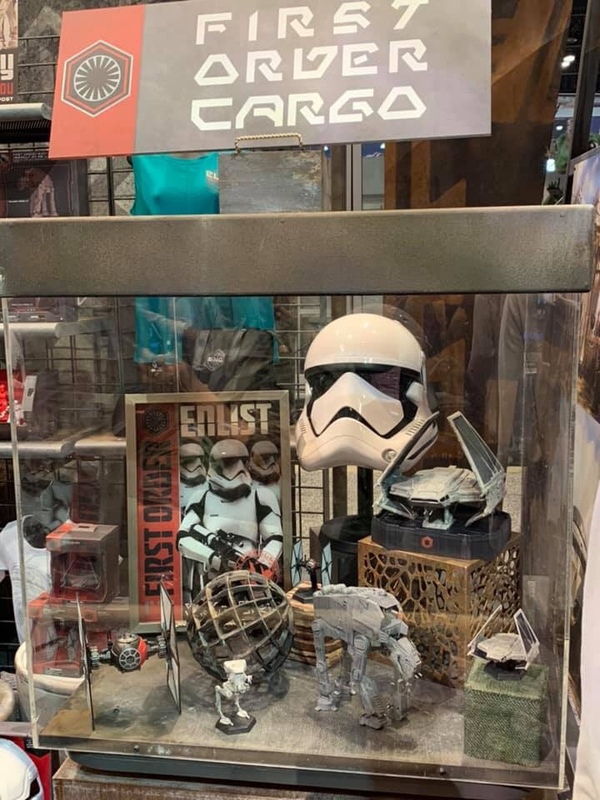 Yep, so that means they should available at the First Order Cargo store. Correct, no disagreement there. My original point was that their wording states that if you ordered anytime prior to today and don't already have an open support ticket for a refund before today, you're basically locked in for the ride now with no refund option (even if they say they might review a refund request). Which wasn't the current agreement when the order was placed. So it's either bad wording on their part or they're trying to be sneaky with the wording to avoid any new refund requests on old orders from people who are fed up with waiting. "We will continue to honor any existing refund requests made prior to this policy change as business permits, and will still consider future refunds for customers after a product is in-stock and ready to ship, but only on a case-by-case review." So essentially if you have a pre order and want to cancel you may not receive funds unlit after the pre order is in stock, even then it's on a case by case basis. If we thought this area was a high stress point before it's going to be worse now with a full inner chest plate attached. The shoulder assembly will need to be looked at very carefully to prevent cracking. Good thing it's here on the FISD. With a collection of some of the best builders in the legion, I'm sure we can figure it out. I was thinking the exact same Once I get my hands on one I'll definitely be looking into it.